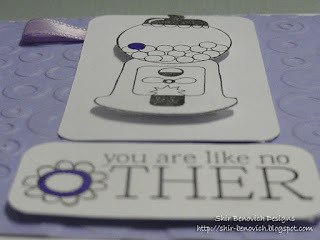 I saw a cool challenge @ 365 Cards: Spotlight with stamping - draw attention to just one little stamp or an aspect of a stamp. I started to search my stamps; Which of them till "call me" and say: I'm the stamp you should choose for this challenge! 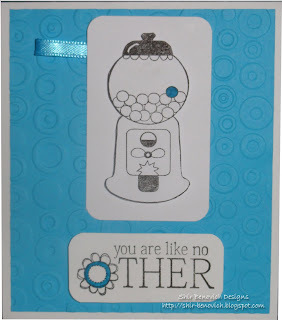 (No, I'm not crazy, but the stamps do talk to me sometimes.... LOL). 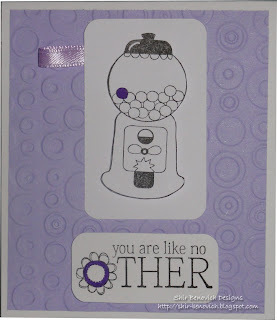 Anyway - this stamped was THE one... 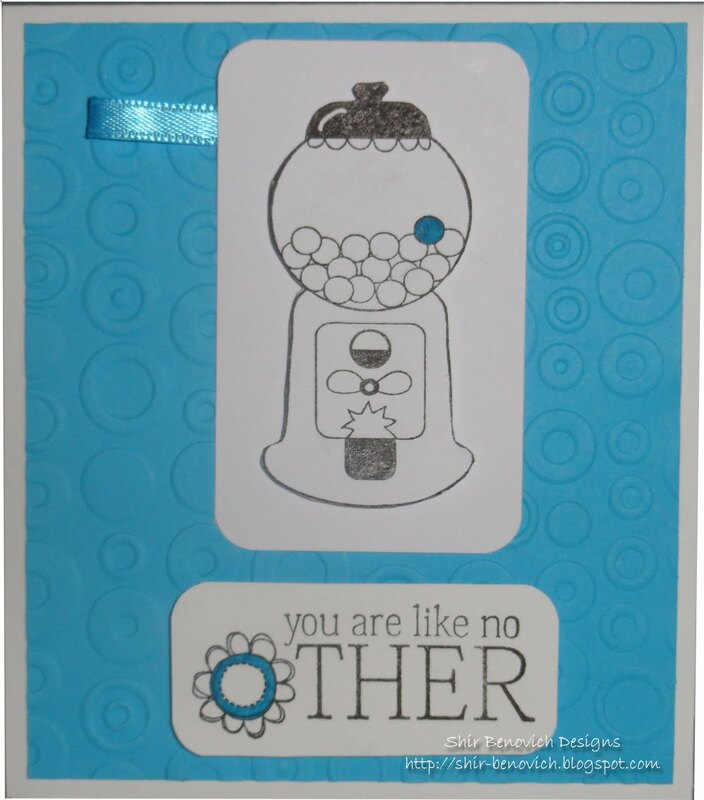 I decided to color only one bubblegum and use another stamp, saying: You are like no other... 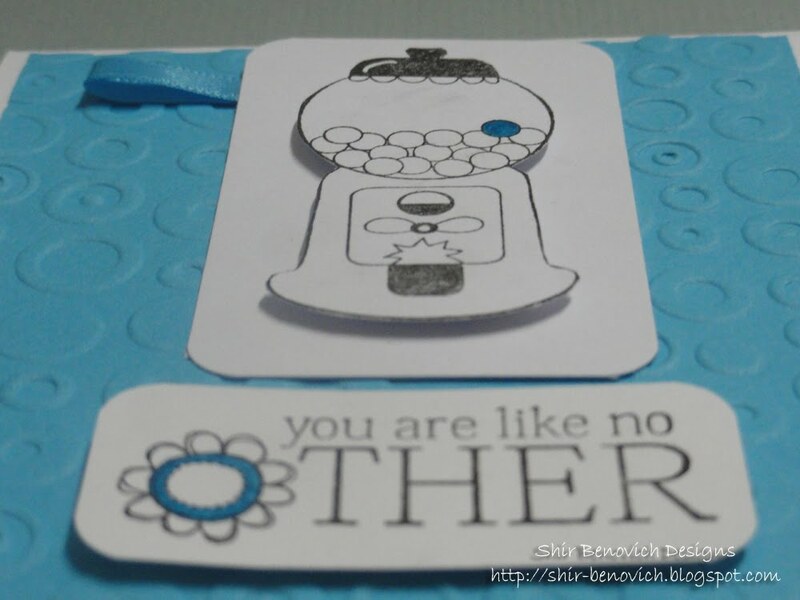 I used Cuttlebug's embossing folder to make an interesting background (that will also fit the circle elements), colored also part of the 'O' of the sentiment, added 3D adhesives, adhered a ribbon loop and voila! 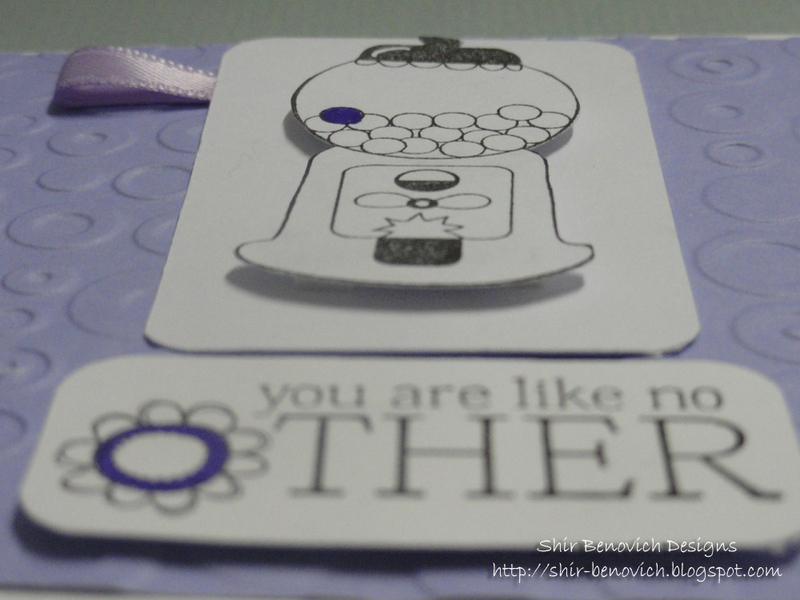 Many times I find myself making 2 cards of each... 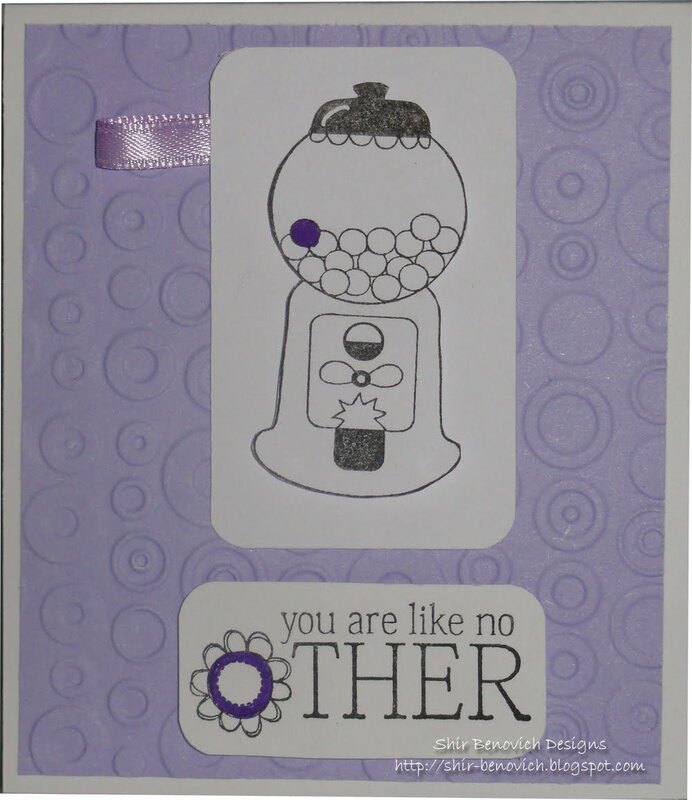 This time I did a blue (light) & purple.